Bariatric Surgery is a tool that aids in weight loss, resolution of co-morbid conditions and increased quality of life for patients. In order to achieve and maintain success following bariatric surgery, proper diet, vitamin supplementation and daily exercise are essential. Our staff have designed a nutrition binder that will help patients adhere to that success before and after surgery. While we strive to serve all qualified patients, there are certain insurance plans that do not have sufficient bariatric surgery benefits, and some plans that we do not accept. Currently the Bariatric Surgery Clinic does not accept Medicaid or any Managed Medicaid Programs (such as Bayou Health). However, surgery is still an option for otherwise qualified patients at a cash price. All benefits are reviewed by our Patient Financial Services team prior to surgery, and cash prices and financing options may be discussed with the Bariatric Financial Counselor at, or prior to initial consultation. The pre-operative workup required for those individuals considering surgery may be extensive. The program is designed to obtain data preoperatively to identify and minimize any intraoperative or postoperative risk factors. This data is also used for long term follow-up care once you have been discharged from the hospital. Your first appointment will be with the Bariatric Physician Assistant or Bariatric Surgeon (Baton Rouge). During this visit an extensive history and assessment will be done to determine what type of studies and consults will be needed. Some studies are routinely done on all bariatric patients while others are based on one’s history and assessment and previous studies from other physicians. Another person you will visit with early in the process is the nutritionist. She will want to do a dietary assessment and begin working on a nutritional plan with you. This may include a pre-operative weight loss plan designed especially for you. She will also begin reviewing the life-long changes that will be necessary for you to be successful with a gastric bypass and determine from a nutritional aspect whether you would be a candidate for the surgery. During the initial visit, an appointment will also be made for you to meet with one of our behavioral health specialists. All of the individuals you meet with during this visit will be available for future appointments before or after surgery. The National Institute for Health consensus conference in 1991 established widely accepted guidelines and indications for the surgical management of severe obesity and endorsed the gastric bypass with Roux-en-Y as the most effective means for treating the obese patient. Weight loss surgery is designed for individuals with a BMI of 40 or greater and whose weight severely impairs their quality of life. Individuals with a BMI between 35-40 who have known co-morbidities may also be considered for surgery. There are many factors that determine whether a person would make a good candidate for bariatric surgery. A reasonable attempt at losing weight with a non-surgical method must be demonstrated. This may include a physician assisted program. Some insurance companies will require one to have attempted such a program as criteria for coverage of a weight loss surgery. Another factor in determining if someone is a candidate for surgery is their understanding and commitment to the life-long changes that will be required to make this a success. It is important that an individual make an informed decision and have the knowledge to do this. The benefits, risks and complications will all be explained in depth to enable one to decide whether they are able to make this commitment. Good results after the surgical procedure require continued dieting and an exercise plan. It is essential that one understand this concept pre-operatively, and not have the expectation that the operation will remove personal responsibility and dedication from the weight loss equation. View our online seminar to begin your journey in weight loss. Learn more about weight loss surgery options at Ochsner during our free seminars either online or in-person. Our comprehensive weight management team provides an informational online seminar on surgical and non-surgical weight loss options. The online seminar is free of charge registration is not required. To start the online seminar, click here. Hear from a physician or physician assistant, RN and dietician. You’ll also have a chance to speak directly with the experts during a Q&A session. Seminars are held at Ochsner Medical Center in the Brent House Conference Center: 2nd Floor, Caldwell and Burns Rooms from 5:30-7:00pm. Please call 504-842-2701 to RSVP or additional information. Support Groups are held in the Lejeune Room, Brent House Conference Center 2nd floor, from 5:30-6:30pm. Please call 504-842-2701 for questions. For any questions about the online seminar, call 225-761-5459. Ochsner now offers bariatric surgery in Slidell. Watch a video online from Dr. Gridley, click here. Learn more about weight loss surgery options at Ochsner during our free informational seminar. Hear from our surgeon, Dr. Gridley and have a chance to ask your questions during a Q&A session. Seminar will take place at: Ochsner Medical Center - North Shore in the Camellia Room at 5:30pm. This site is designed to serve as a tool to help you understand more about morbid obesity, weight reduction surgery and the Surgical Weight Loss Program here at Ochsner in New Orleans, Louisiana. The mission of our Surgical Weight Loss Program is to improve the health of the population we serve by providing medical and surgical weight loss options and helping the individual achieve the highest quality of life possible. The bariatric program at Ochsner Clinic Foundation involves a multidisciplinary team who will consult and evaluate each patient individually prior to surgery. The pre-operative team encompasses two bariatric clinical care coordinators, a Registered Dietician and a psychiatric consult. The information gathered by the multidisciplinary team will be presented to the bariatric surgeon(s) and assist him/her in deciding whether an individual is a candidate for a gastric bypass surgery. Ochsner Clinic Foundation also has the privilege of having many specialties on staff. These specialized areas include Internal Medicine, Gastroenterology, Endocrinology, Cardiology, Pulmonology, Rehabilitation Services, Sleep Lab and a Support Group. Ochsner is also affiliated with Ochsner Fitness Center. 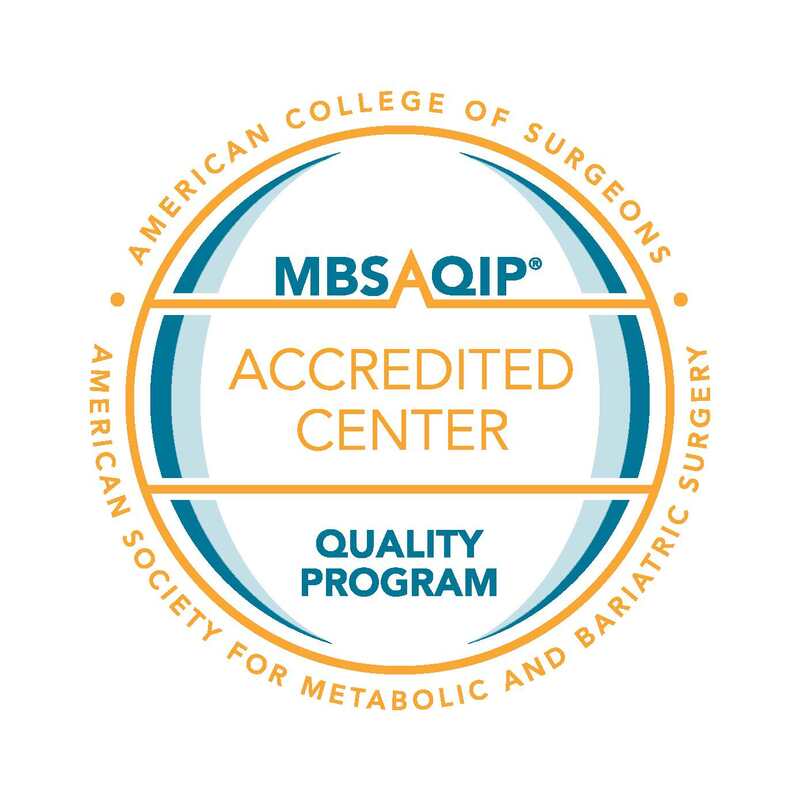 The Bariatric Surgery Program at Ochsner Medical Center on Jefferson Highway has received accreditation from the Metabolic and Bariatric Surgery Accreditation and Quality Improvement Program and is a Comprehensive Center. Drs. William Richardson and James Wooldridge are BLIS surgeons, (www.bliscompany.com). Becoming a BLIS Surgeon is a very selective process as determined exclusively by BLIS. This means that we meet very high standards of short term outcomes and long term patient success. As a result of our approval by BLIS, we are able to participate in an innovative new insurance coverage which allows us to make a commitment to our self-pay patients that should a covered complication occur within certain time frames following surgery; our patients are not responsible for the costs associated with the care of that complication. Ochsner now offers ORBERA™, a non-invasive weight loss procedure for patients to manage weight loss. ORBERA™ combines a clinically tested and proven medical device, with a customized plan developed by Ochsner’s care team to effectively manage weight loss. This weight loss program will help you create healthy lifestyle habits and maintain your weight loss over time. The comprehensive, two-part program starts with a soft balloon placed in your stomach for six months to encourage portion control. This balloon occupies a large part of the stomach causing earlier fullness when eating. During this time, your Ochsner care team will help guide you through a diet and exercise program. At six months, the balloon is removed and your care team will continue to guide you toward making healthy lifestyle choices. They will help you retrain your appetite, adopt new nutritional habits and establish a reasonable exercise routine that will be essential to your long-term success. **The complication protection is exclusively part of the package price you will pay for your weight loss surgery. We are happy to provide this benefit to our patients and ease your mind and your wallet in this important decision to have a life-saving surgery. 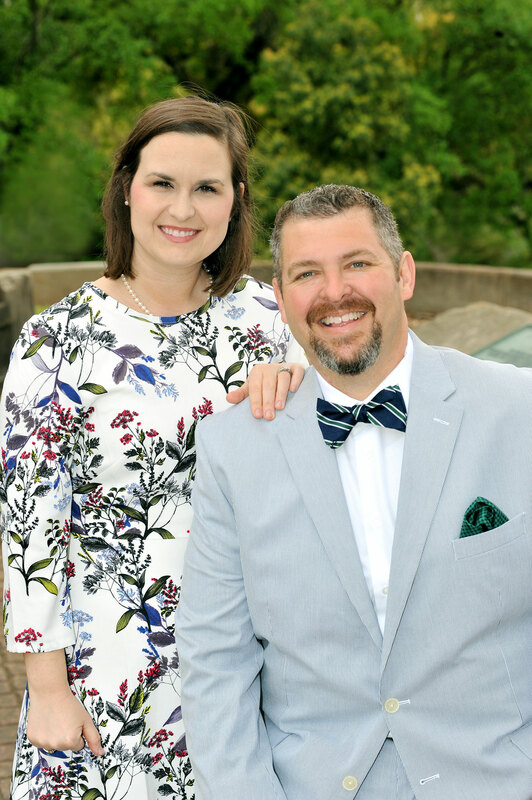 Dr. Wooldridge earned his medical degree from the University of Tennessee Health Science Center and completed his internship and residency at the University of Missouri Hospitals and Clinics in Columbia, Missouri. He completed his fellowship in laparoscopic and bariatric surgery at the University of California, Irvine Medical Center. Dr. Wooldridge is board certified in general surgery and has been on staff at Ochsner since 2009. His expertise includes laparoscopic, minimally invasive surgeries and bariatric surgery. He has a special interest in laparoscopic (minimally invasive) surgery. FREE Online Weight Loss Surgery seminars to learn about your options at Ochsner Baton Rouge and to get your questions answered. To begin the seminar online, please complete the form at the top of the page. Guidance and information on proper diet, vitamin supplementation and daily exercise. Access to high-quality care in various specialties including cardiology, critical care, internal medicine and more. An increased quality of life that decreases medical expenses and prolongs life. Ochsner now offers a non-invasive weight loss procedure for patients to manage weight loss. Orbera™ combines a clinically tested and proven medical device, with a customized plan developed by Ochsner’s care team to effectively manage weight loss. This weight loss program will help you create healthy lifestyle habits and maintain your weight loss over time. Orbera™ is a cash only procedure, not covered by insurance. Please call 225-761-5459 for more information. Dr. Louis Jeansonne earned his medical degree from Louisiana State University, New Orleans, Louisiana. He completed a surgical residency at the University of Alabama at Birmingham, and a Laparoscopic fellowship at Emory University. Dr. Jeansonne is Board Certified in Surgery and has been on staff at Ochsner since August 2008. His special interests include laparoscopic hernia repair, laparoscopic colectomy, laparoscopic fundoplication, transoral incisionless fundoplication, robotic surgery and bariatric surgery. Dr. Kim received a Doctor of Medicine degree from Korea University School of Medicine in Seoul, South Korea. He completed a Surgery Residency at Hennepin County Medical Center in Minneapolis, Minnesota. In addition, Dr. Kim is a member of the American College of Surgeons, American Society of Gastrointestinal Endoscopy and the American Society of Breast Surgeons. 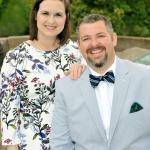 Dr. Kyle Jakob received his Doctor of Medicine degree from Louisiana State University, Shreveport. He completed his General Surgery Residency at Ochsner Health System, New Orleans. Ashley Reda earned her undergraduate degree from Louisiana State University. She holds a Bachelor of Science Degree in Kinesiology, and a Master of Medical Sciences from University of Alabama at Birmingham. Ashley is certified by the National Commission on the Certification of Physician Assistants. Welcome to Ochsner’s Bariatric Surgery Program for the North Shore! We’re proud to provide excellent surgical weight loss options to the communities of Slidell, Covington, Southwest Mississippi and everywhere in between. We offer a variety of surgical options, including Sleeve Gastrectomy, Gastric Bypass, and Lap-Band surgery, to fit the needs of all our patients. Plus, you can rest easy knowing all surgeries are done within Ochsner Health System, with immediate and direct access to its world-renowned and nationally-ranked care. The Bariatric Surgery Program at Ochsner Medical Center - North Shore in Slidell has received accreditation from the Metabolic and Bariatric Surgery Accreditation and Quality Improvement Program and is a Comprehensive Center. The Surgical Weight Loss Program on the North Shore includes a multidisciplinary team that will be by your side before, during and after your weight loss surgery. With a customized approach, to each individual patient, our team provides everything you’ll need to achieve your weight loss goals and to keep it off. Asahel Gridley, MD is our Bariatric Surgeon and Medical Director of Bariatric Surgery on the North Shore. Dr. Gridley graduated from the University of Texas Medical Branch and completed his residency at Ochsner Clinic Foundation in New Orleans. He holds a Bachelor’s in Biology and Neuroscience, as well as a Minor in Chemistry from Baylor University. Dr. Gridley is a Board-Certified General Surgeon and completed his fellowship at the University of Texas-Houston studying new technologies in Bariatric Surgery. Dr. Gridley holds clinic experience in the following areas: minimally invasive surgery, endoscopy, and robotic surgery-Da Vinci trained. Lisa Charlot is our financial coordinator. She works closely with our patients to verify insurance coverage and develop a plan to meet all insurance authorization requirements. Lisa also works to make weight loss surgery an affordable option for those choosing to pay for surgery themselves rather than through insurance. Mix one scoop Vanilla protein powder, eight ounces skim milk, two drops McCormick Imitation Pineapple Extract, two drops McCormick Imitation Coconut Extract-adjust to taste. Shrimp is the perfect texture - soft and moist. Serve to your family over linguini or rice - and have your shrimp and sauce in a small bowl - with diced tomato or broccoli. Heat oil in large skillet over medium high heat and sauté garlic for 1 minute. Add shrimp and cook for one minute and season with salt and pepper. Bring mixture to a boil, reduce heat to medium, and cook 1-2 minutes, until sauce has thickened. Add parsley and lemon juice; toss well to coat. Cook until shrimp are done. This dish is truly creamy and delicious. Hard to tell this from mashed potatoes! Combine cauliflower, garlic, and broth in a large saucepan. (add water to cover if vegetable is not completely covered by broth) Bring to a boil, reduce heat to medium, and simmer until cauliflower is tender, 12 to 14 minutes. Drain cauliflower, reserving a cup of the cooking liquid. Transfer cauliflower and garlic to food processor and process until very smooth adding a tablespoon or two of cooking liquid if necessary. Season with salt, pepper, and a tablespoon of butter to taste. Use the butter to thoroughly grease the bottom and sides of a 1 quart loaf pan. In a medium bowl add the ricotta and whisk until free of lumps. Add the Splenda, chocolate and almonds and stir to blend. Peel the hard-boiled eggs and put the yolks through a small strainer to break them into small bits. Add the egg yolks to the ricotta mixture. Beat the 2 egg whites until stiff peaks form, about 3 to 5 minutes with an electric mixer - longer with a whisk!. Gently fold the egg whites into the ricotta mixture with a rubber spatula, retaining as much fluffiness as possible. Transfer the mixture to the loaf pan. Put the loaf pan into a roasting pan and add hot water to roasting pan to make a water bath and bake, undisturbed, for 50 minutes. Remove the pan from the oven and the water bath. Allow to cool 10 to 15 minutes before serving. Sprinkle with a touch of lemon zest and some chocolate over each portion. Cook's Note: How to make Hard Boiled Eggs: Add eggs to a pot and cover them by at least 1 inch with COLD water. Bring the water to a rolling boil over high heat (between 8 and 10 minutes). When the water boils, remove the pot from the heat, cover and allow to sit undisturbed for 10 minutes. Remove the eggs from the pot and run them under cold water to stop them from overcooking. No green ring around the yolk!!! Surgical Weight Loss Program at Ochsner - New Orleans by calling 504-842-2701 or by bariatricsurgery@ochsner.org. Surgical Weight Loss Program at Ochsner - Baton Rouge by calling 225-761-5459 or by bariatricsurgerybr@ochsner.org. Surgical Weight Loss Program at Ochsner - North Shore in Slidell: To speak with Lisa about the cost of surgical weight loss, call (985) 646-5008. To schedule an appointment, call (985) 639-3777. Start online seminar to begin your journey in weight loss. Weight loss surgery plus medical therapy is better than medical therapy alone for the treatment of diabetes.